During the recent run of Christmas television, viewers were acquainted with the weird and wonderful world of Harry Price in the TV drama, Harry Price: Ghost Hunter, with the fine Rafe Spall taking on the role of the world-famous ‘debunker’ of the paranormal. Throughout the programme we were introduced to Price’s remarkable way of thinking and his persistent determination to find scientific reason behind so-called ‘paranormal occurrences’. The programme’s plot centred around the supposed haunting of a high-profile MP’s country home – a haunting fabricated for TV viewing and not one of Price’s famous investigations (for example, the Borley Rectory), but the method in which Price investigated these disturbances and the show in general remained relatively true-to-form and was closely based on how Price carried out his investigations into alleged hauntings. 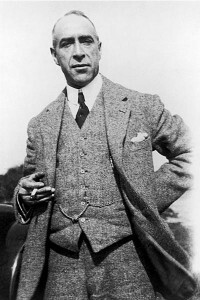 Price (born January 1881 in London) is best known as one of the leading (and most controversial) researchers and authoritative voices on all-things paranormal, his popularity gained predominantly through his work investigating well known haunted houses and exposing fake spiritualists during a time when séances, and the ‘paranormal’ in general were at the peak of public interest. It can be said that Harry Price was the pioneer for modern paranormal research and following his untimely death in March 1948, the University of London was bequeathed Price’s ‘Library of Magical Literature’, an extensive wealth of information he collected over the years on the subject, which, by the efforts of external donations and contributions has now grown to become an asset of almost 13,000 works detailing all aspects of the occult. The pictorial element of this otherworldly collection is something that Mary Evans has represented for some years, and out of the many peculiar collections we have the privilege to work with, the Harry Price Library of Magical Literature is certainly one our most curious. A couple of images from the collection which have fascinated me for some time, and I continue to be drawn to, are the images of Price’s tools of the trade, or collectively his ‘ghost hunting kit’. During Harry Price: Ghost Hunter, we had the pleasure of seeing elements of this kit come to life – a fascinating spectacle, if a little dramatised. These photographs give us a more accurate look at the equipment that Price used on his investigations and are dated circa 1925 – 1930; around the time of Harry Price was Honorary Director of the National Laboratory of Psychical Research. 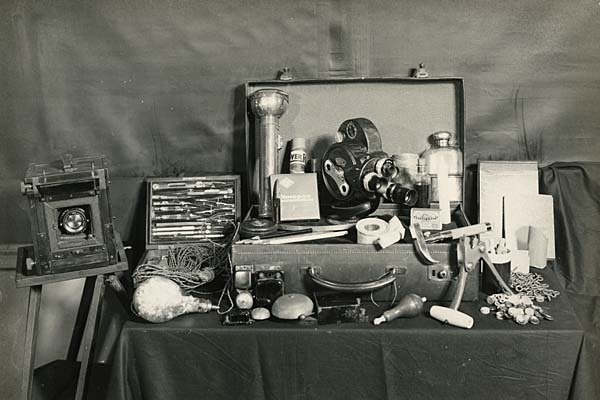 Looking at the images it is certainly apparent that the contents of the kit demonstrate Price’s scientific approach to alleged hauntings. Price always strived to carry out all of his investigations in conditions suitable for scientific experiment. He would carry a sketch pad, pencils and drawing apparatus in order to precisely plot a location and would use steel tape, plaster, string, and tools to seal rooms, doors and windows. This was always essential to any investigation and would ensure that nobody could tamper with the equipment once set up, or, provide an opportunity for a group or individual to fabricate paranormal activity during the night. It also helped keep external draughts at bay and safeguard any trigger objects from being set off due to natural conditions. For further safeguarding, Price would also initial any tape used in sealed areas. Miscellaneous electric apparatus and bells can also be seen, which I assume may have been set up to sound, if, for example a sealed area had been breached or potentially to record a change in atmospheric conditions. In terms of cameras, visible here is an Adams and Co Reflex Camera that would have used infra-red film (a necessity for early night photography) and a Cine camera which would have taken the Agfa Novapan Film, also seen in the kit. These cameras would often be placed in the area central to the activity with trigger weights and a trigger thermograph. The trigger set up meant that any change in temperature or movement in the room would cause the shutter to release. A bottle of Mercury was also carried and at the scene of an investigation would be placed in a bowl, any movement of the mercury in the bowl would show and this was perfect for detecting any tremors in the room. If any disturbance was recorded, Price also used chalk to mark areas of activity. In addition, he carried brushes and powdered graphite for developing potential finger-prints. For practical purposes a flashlight and matches would be used to navigate in low light. However, Price was also known to use matches as a ‘trigger object’ or something used to ‘entice’ a ghost. The matches were used in particular to see if a ghost who once smoked, would respond. Examining and explaining these images of his ghost hunting kit serve to highlight Price’s triumphs in debunking the paranormal and uncovering reasons behind the unexplained. 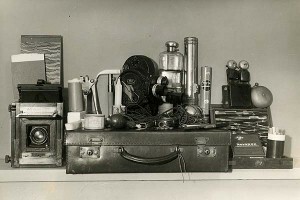 The ‘ghost hunting’ equipment of today is far more technologically advanced and sophisticated, but in fact not too dissimilar to Price’s original kit and further argues that Price was indeed the pioneer of modern ‘ghost hunting’ techniques. A great deal has been written on both Harry Price himself and his work over the years, with opinions both slating and praising his work. 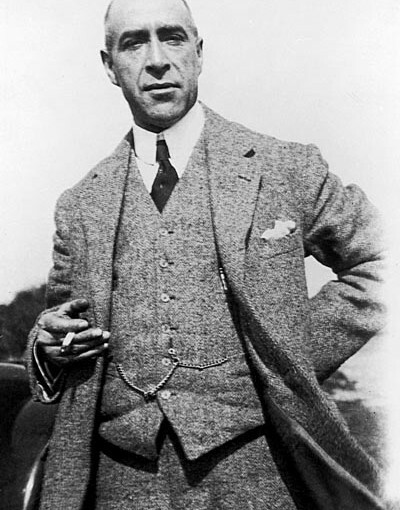 Whatever your opinion on the work of Harry Price, it is likely his legacy will continue to intrigue and fascinate for years to come. You can view more images from the Harry Price Library of Magical Literature here.